Tuesday night, fresh from his family holiday in Hawaii, American President Barack Obama signed the Shark Conservation Act, which closes a number of loopholes in the United States' existing shark finning ban. Environmentalists are calling the newly signed law a major step forward for domestic and international shark conservation efforts. 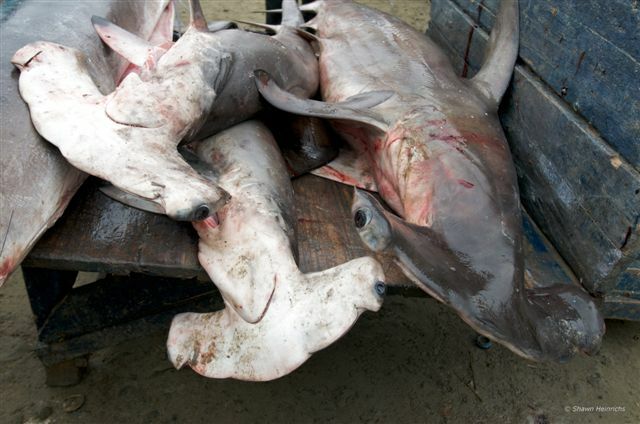 The Shark Conservation Act ensures that the United States has a comprehensive fins-attached policy, making the wasteful practice of shark finning illegal in all U.S. waters. The new law also closes loopholes in the current law that has allowed finning to continue in vast areas of the Pacific Ocean. Additionally, fishermen can no longer offload fins to other vessels at sea as a way around the current shark finning prohibition. Shark finning is the practice of removing a shark's fins and discarding the carcass at sea. Up to 73 million sharks are killed per year to fuel the demand for the shark fins and many species have plummeted to dangerously low levels as a result. For example, studies have shown that Gulf of Mexico populations of oceanic whitetip sharks (Carcharhinus longimanus) have decreased by 99% in recent decades. The Shark Conservation Act was sponsored by Sen. John Kerry (D-Mass.) and Del. Madeleine Bordallo (D-Guam).